York’s Chocolate Story, in York, is now offering Key Stage 3 and 4 pupils a World War One workshop, tying in with the History curriculum. The museum allows visitors to discover the history behind chocolate and well-known brands, meanwhile getting the chance to get hands-on with chocolate making and watching demonstrations from chocolatiers. The workshop, WWI: Chocolate Home and Away will be available from 25th September. Teachers should call 01904 527722 or email brosenfield@yorkschocolatestory.com for details on booking a trip for their class. The workshop will not only link to History, but to Geography and Religious Studies as well. During the workshop, students will explore the causes and consequences of World War One and how the gift of chocolate helped to keep wartime spirits high, at home and on the front line. Students will learn how York’s renowned chocolate companies, such as Rowntree’s and Terry’s, offered their support to the war effort. In addition, the workshop will highlight topics, such as the women’s suffrage movement, Quaker beliefs and the production and distribution of chocolate. The new workshop will investigate the surviving ‘chocolate letters’ sent to and from York servicemen, serving on the front line during World War One. Students will then be asked to devise their very own chocolate letter and compare war-time chocolate to modern products, by creating their own cocoa-based drinks. Special ticket rates are available for schools and a free teacher place is available per group. Tours of the museum and a number of workshops are bookable too, such as: Meet the Maya - The Original Chocolatiers, suited to Key Stage 2 pupils, which looks into the Ancient Maya and the history of the cocoa bean; and The Next Big Thing, a workshop suitable for Key Stage 3 and 4 that gets pupils brainstorming and pitching new ideas. 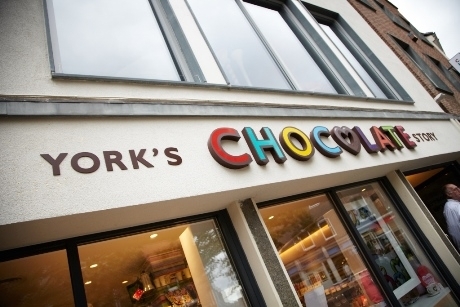 For more information, visit www.yorkschocolatestory.com.